KK Security has emerged as one of two of the best security firms in Kenya for promoting and defending human rights as part of their business practices. With the upcoming elections in Kenya, now is the time to review your plans. KK Security can provide you and your company with the tools to prepare your work place and train your staff. On 19 June 2017, the KCAA officially certified us to provide aviation security services, enabling us to increase the scope of our services across Kenyan airports. KK Security emergency mobile response teams, known more commonly as MRTs, are changing the way people perceive KK Security. 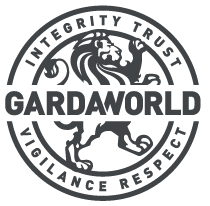 GardaWorld has completed the acquisition of KK Security as it looks to expand its footprint across Africa. KK Security’s award-winning services team in Malawi was presented an award by the Chartered Institute of Customer Management. KK Security teams’ response to a fire at a client site, going well above and beyond their duties.